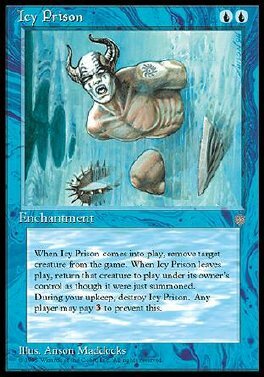 When Icy Prison comes into play, remove target creature from the game. At the beginning of your upkeep, sacrifice Icy Prison unless any player pays 3. When Icy Prison leaves play, return the removed creature to play under its owner's control.